It can seem daunting at times to find a great lunch spot in NYC that’s $10 or less, but there are plenty of affordable—and delicious—lunch options in Meatpacking. The new kid in the nabe is the first U.S. outpost of the beloved Israeli international chain. The restaurant offers four pita sandwiches including Ratatouille, Lavan, C. Flowers, Egg Steak, and Za’atar Folded Omelet, that are (you guessed it!) under $10. $10 and under pick: The Baby Cauliflower pita sandwich for $9. With four quiche options at $6.50 and seven sandwich options ranging from $7-9, you will have no shortage of choices at this Samsung 837 hotspot. There’s no cheaper ticket to Israel than a trip to Dizengoff for Shakshuka with Za’atar pita for $10 or Pickled Beets and Turnips, Yemenite Pickles, and Twice Cooked Eggplant, each for $4. $10 and under pick: The Classic Tehina Hummus served with pita, chopped salad, and pickles for $10. 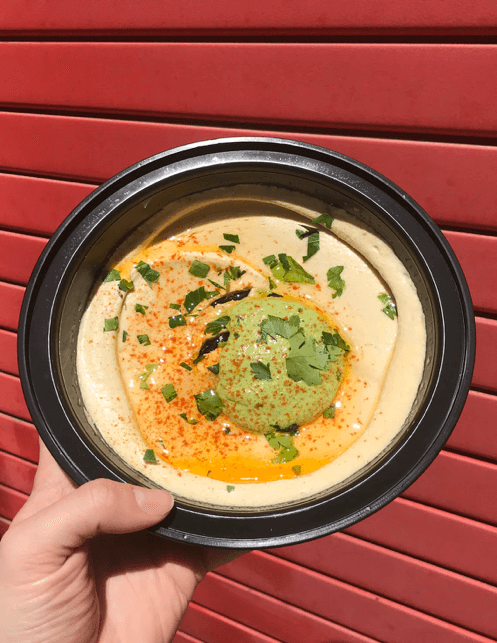 Located right across from Dizengoff in Chelsea Market, Cappone’s brings authentic flavors in the form of heroes made from family recipes passed down from generations. With 12 different sammies priced between $9-$10, you’ll have no shortage of affordable options. $10 and under pick: The Pacino for $10 with smoked mozzarella, artichokes, sweet roasted red peppers and arugula. This lunch-spot gem on Hudson Street changes their menu daily so you’ll never be bored of the same ole’ thing. All of their sandwiches offerings are under $10 plus a few salad options. The best part? They throw in a delicious mini brownie with your purchase. The 100% vegan eatery offers an assortment of plant-based options that are $8 or less including dumplings, salads, and sushi rolls. Honorable Mention: The Lunch Special, will take you 59 cents over budget, but totally worth it because you can grab a 4 piece sushi roll AND a starter soup or side salad for ONLY $10.59! Enjoy cheeseburgers, a grilled PBJ, and more without breaking the bank at Creamline. $10 and under pick: The Grilled Cheese & Tomato soup for $9. Let’s face it, sometimes you just need to slip away from the office on a particularly bad day to get your buzz on. Enter The Woodstock, the alcohol oasis under The High Line where every cocktail is $10. If you want to splurge a bit, grab a personal pie for $15. With ingredients directly from Italy and all pizzas for $10, SIMO Pizza promises to bring you to Napoli in 90 seconds. 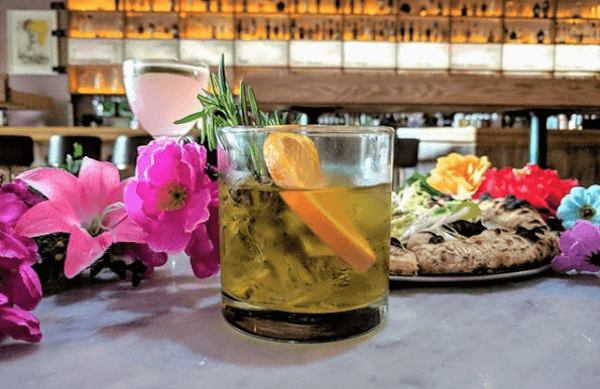 Be sure to check out SIMO when they open on June 4th! $10 and under pick: The Vegan pizza for $10. Can’t decide which type of cuisine to partake in for lunch? Try a fusion of Japanese inspired Mexican food at Takumi Taco for great tacos all priced under $6. $10 and under pick: Chipotle Shrimp Taco with a side of the Takumi Slaw for $8.95. 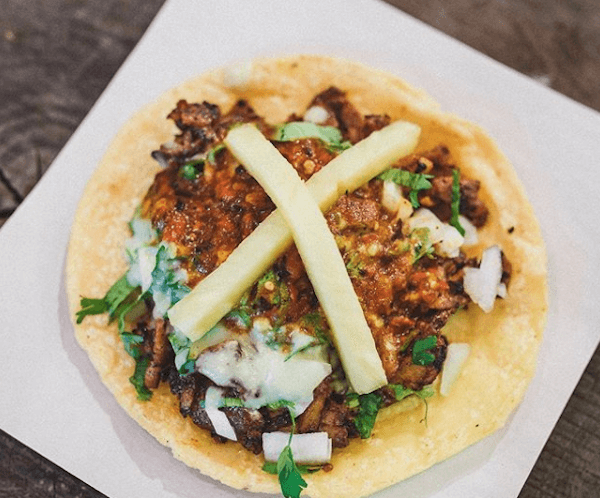 Everyone’s go-to spot for Mexican in Chelsea Market offers tacos starting at $3.25. $10 and under pick: One Carne Asada and one Pollo Asado taco for the grand total of $8.25. Make it a combo. With soup and sandwich deals starting at $7.75, Hale and Hearty is the place to go for a comforting lunch on a chilly day. Separately, soup starts at $3.85 and sandwiches start at $4.15. $10 and under pick: The fresh mozzarella and tomato with basil sandwich and the tomato basil with rice soup. The Grilled Portobello Mushroom and Roasted Cauliflower Sandwich are definitely worth braving the lunchtime rush in Chelsea Market. $10 and under pick: The Spicy Organic Tofu Sandwich for $9.75. High Street offers a lunch special that is perfect for Hook Up card holders who are looking to grab a bite on the go. $6 soup TO GO Only, available Monday- Friday from 11:30 – 3 PM. 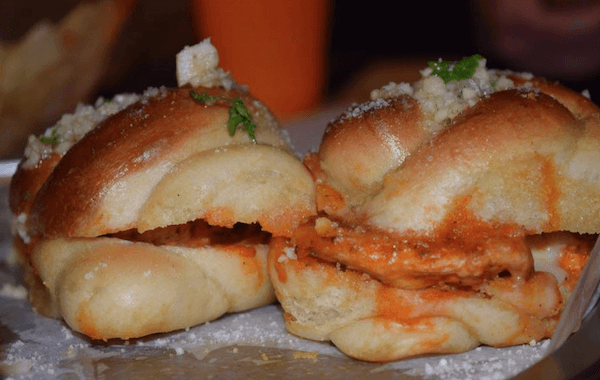 With 5 Traditional Garlic Knots for $6.50, Stuffed Garlic Knots for $3.75, and Garlic Knot Sliders starting at $4.99, Hold My Knots is the place to go for garlicky goodness. $10 and under pick: The Eggplant Slider for $5. 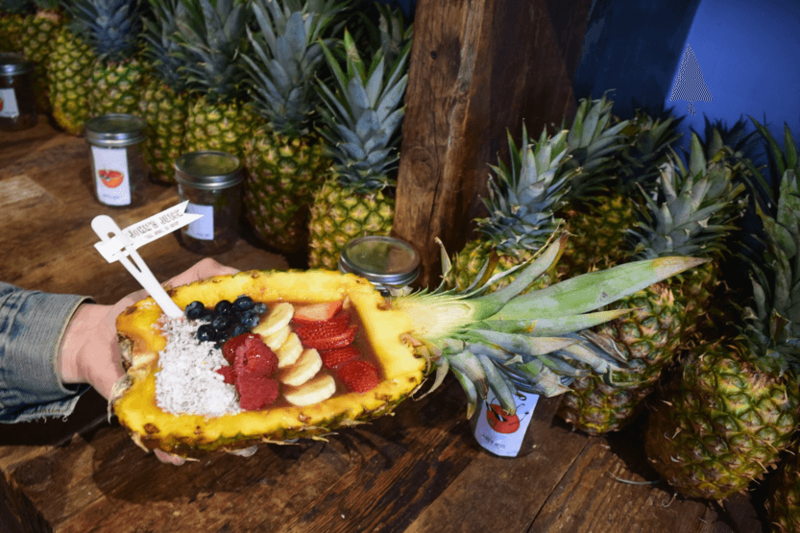 This acai bowl from John’s Juice might not be $10 and under, but it’s too good to not include. For just a buck more, you can enjoy a tasty, healthy and instagram worthy lunch.